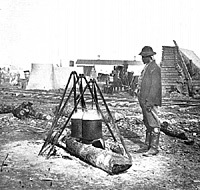 Kitchen of Soldiers Rest, Alexander, Va. 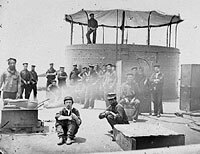 Soldiers filling canteens at Fredericksburg, Va. I have the honor to introduce to you Geo S. Hale, Esq. President of the Common Council of the City of Boston, who is charged by me with the duty of presenting to you the matter of the payment of the 54th, and 55th Regiments of Massachusetts Volunteers. I feel compelled again and again to ask your Excellency’s attention to this, not only by reason of the suffering condition of the men of these regiments and of their families, but also from my conviction of their rights under the laws, and of the justice of their claim. I avail myself of this opportunity, to add the statement of a piece of important historical evidence to what I have heretofore urged both orally and in writing. I allude to the authority of the precedent established by contemporaneous construction of the Acts of Congress of Dec. 12 1811, Jan. 11 1812, and Dec. 1814 on the part of the Government, and also the authority of the interpretation of those Statutes contained in the official opinion of Mr. Wirt, given in 1823, (and found in Vol. 1, on pages 602 3) of the published opinions of the Atty. 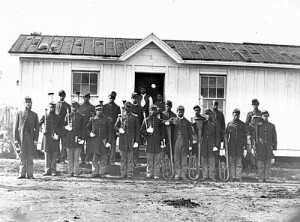 Genl of the U. S. Under these acts which called for the enlistment of soldiers into the army of the U. S. one of which required such soldiers to be “able bodied, effective men” and another required them to be “free, effective able bodied men”, it is shown that colored men of African descent were enlisted and mustered into the Army; – and that they were paid and in all other respects treated as were other soldiers. Besides in the “opinion” alluded to, Mr. Wirt decided that they were entitled to the same bounty which white soldiers received under the same acts of Congress. It appears, therefore, that under the law for recruiting the regular Army colored men were enlisted, paid and enjoyed the bounties accorded to men of the white race. Thus half a century ago, neither Congress nor the Executive Department, nor the People saw cause to deny the wages of a soldier to any men who wore the uniform, took the oaths and performed the duties of a soldier: – not even though he was black. It must be remembered that then the laws did not in express words and by set phrase recognize colored men as soldiers. But the terms used in the Acts of Congress were such as would be satisfied by persons of color. Now, not only do the laws authorizing the President to accept Volunteers, use terms which are satisfied by men of color, as that they are by construction, to be deemed included therein; but, Congress did by express act, in set terms, on the 17th day of July 1862 authorize the President to employ such persons for the suppression of the rebellion, [Ch. 195, Sec. 11 of Acts of 1862], and without any limitation of manner (saving of course that it must be in a manner known to the laws) – and without any limitation as to pay. 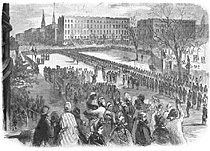 I confess myself at a loss to know (so as to answer satisfactorily to myself) the precise meaning of the question, or the precise point upon which a doubt exists in your Department, as to the amount of pay, bounty and clothing of the persons indicated, under laws passed prior to the 15th of June 1864. I am the more induced to desire a specific statement of the question, because the 4th section of the act (of June 15. 1864) to which you refer, is very peculiar in its phraseology. It does not give, or purport to give to the class of troops indicated, any thing whatever, to which they had not a perfect right, by prior laws. It provides only that they shall “be entitled to receive the pay, bounty and clothing allowed to such persons by the laws existing at the time of their enlistment.” It seems to me therefore that any question as to the amount of pay, bounty and clothing to be paid to such troops, must, of necessity, arise under the previous laws, and not under the act of June 15. 1864. And I should be ready to comply, with alacrity, with your request for an opinion upon any specific question of law, arising under any of those prior acts. But the said 4th section is very peculiar, in another respect. It does not require the Attorney General to give any opinion to any officer. That is amply provided for by other statutes, which make it his duty, in the cases specified, to give “opinion and advice” to the President and the Heads of Departments. But it goes far beyond that. It purports to make him a final judge of the matter, by enacting that “the Attorney General of the United States is hereby authorized to determine any question of law arising under this provision ” i.e. this 4th section. And this is clearly a new and special delegation of power, to hear and determine questions of law, without and beyond the general duty of the Attorney General, to give opinion and advice to the President and the heads of Departments. Marvin R. Cain, Edward Bates of Missouri, p. 234. Joseph T. Glatthaar, Forged in Battle, the Civil War Alliance of Black Soldiers and White Officers, p. 172. James M. McPherson, Marching Toward Freedom, p. 92. Noah Andre Trudeau, Like Men of War: Black Troops in the Civil War, 1862-1865, p. 92-93. James M. McPherson, Marching Toward Freedom, p. 95. James M. McPherson, Marching Toward Freedom, p. 96. LaWanda Cox, Lincoln and Black Freedom, p. 23. Ira Berlin, Barbara J. Fields, Steven F. Miler, Joseph P. Reidy, and Leslie S. Rowland, editor, Free at Last: A Documentary History of Slavery, Freedom, and the Civil War, p. 467-468 (Letter from William J. Johnson to Abraham Lincoln, April 27, 1864). Abraham Lincoln Papers at the Library of Congress. Transcribed and Annotated by the Lincoln Studies Center, Knox College. Galesburg, Illinois. (Letter from John A. Andrew to Abraham Lincoln, May 27, 1864). Abraham Lincoln Papers at the Library of Congress. Transcribed and Annotated by the Lincoln Studies Center, Knox College. Galesburg, Illinois. (Letter from Charles Sumner to Abraham Lincoln, May 23, 1864). Abraham Lincoln Papers at the Library of Congress. Transcribed and Annotated by the Lincoln Studies Center, Knox College. Galesburg, Illinois. (Letter from Edward Bates to Edwin M. Stanton, June 20, 1864). Abraham Lincoln Papers at the Library of Congress. 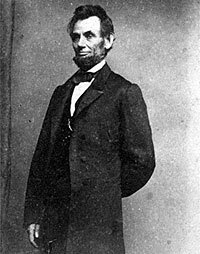 Transcribed and Annotated by the Lincoln Studies Center, Knox College. Galesburg, Illinois. (Letter from Abraham Lincoln to Edward Bates [Copy in a Secretarial Hand]1, June 24, 1864). Ira Berlin, Barbara J. Fields, Steven F. Miler, Joseph P. Reidy, and Leslie S. Rowland, editor, Free at Last: A Documentary History of Slavery, Freedom, and the Civil War, p. 475-475 (Letter from George Rodgers to Abraham Lincoln, July 31, 1863).